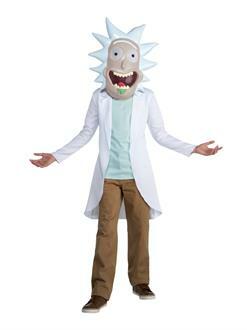 Now you can be television's craziest scientist with this Rick and Morty Rick Teen Costume! Including character mask and shirt, you have a complete likeness that is distinctive, fun and will be the hit of any Halloween party or cosplay event! Comfortable and made of high-quality materials! Order yours today!